When’s the right time for a kid to learn how to shoot a sniper rifle? What’s your kid up to when you’re not looking? Is the spy agency’s secretary really just a secretary? Comic books can answer these questions. Thank God. The answers for the queries posed above come inside Zero #2, Saga #15 and Velvet #1, all discussed in the video above. 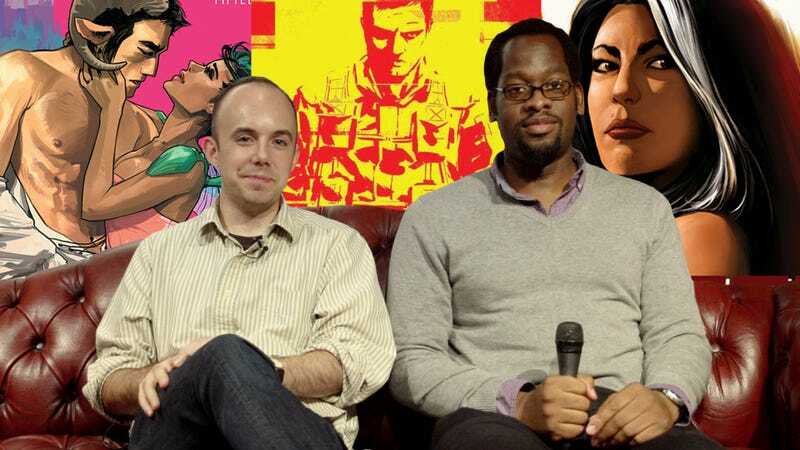 Kotaku bossman Stephen Totilo and I talk about these recent releases and how they feel different from the superhero fare that their creators made their names on. What have you read that’s tickled your fancy? What are you looking forward to? Can anyone help us pronounce these creators’ names? Chime in the comments below!